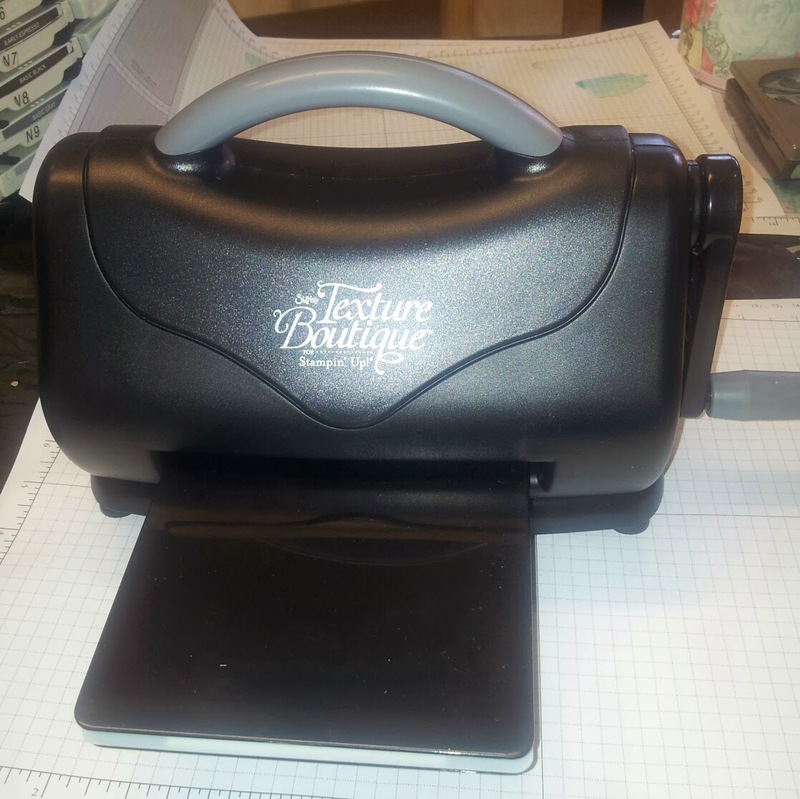 Yesterday I got my new little toy the gorgeous wee Texture Boutique! So I just HAD to have a play. It is similar but different to the Big Shot - if that makes ANY sense at all! lol You can see the size against the normal card size. 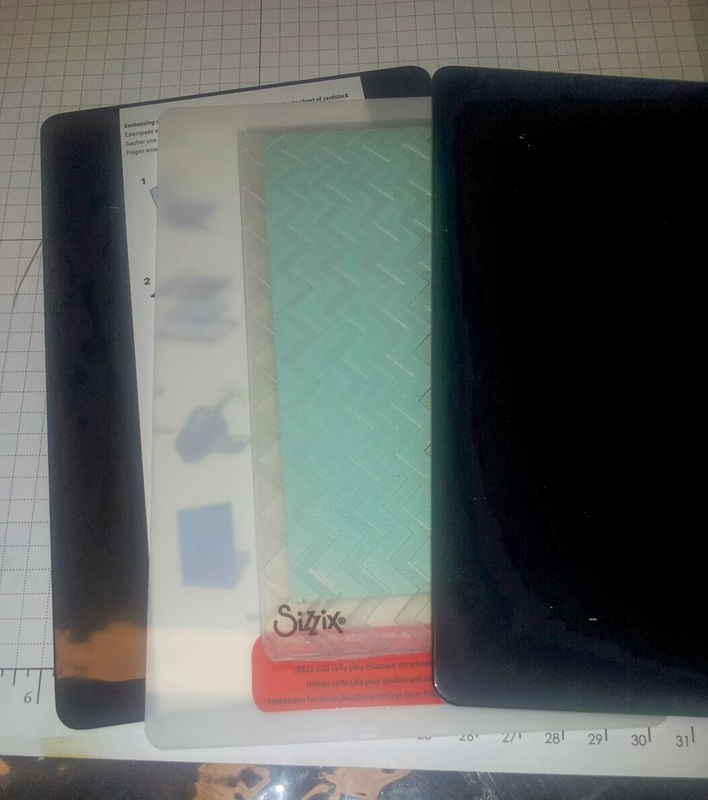 Ok what you get with the Texture Boutique is two black embossing plates and a cloudy plastic shim. The shim is to take the place of a card back. 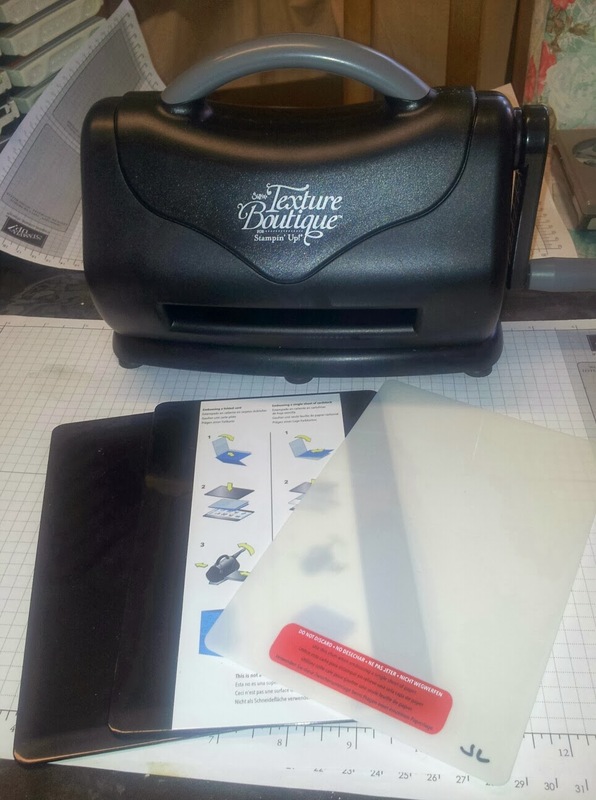 So with this machine you can embossing a single sheet of card (with the shim) or a card front. 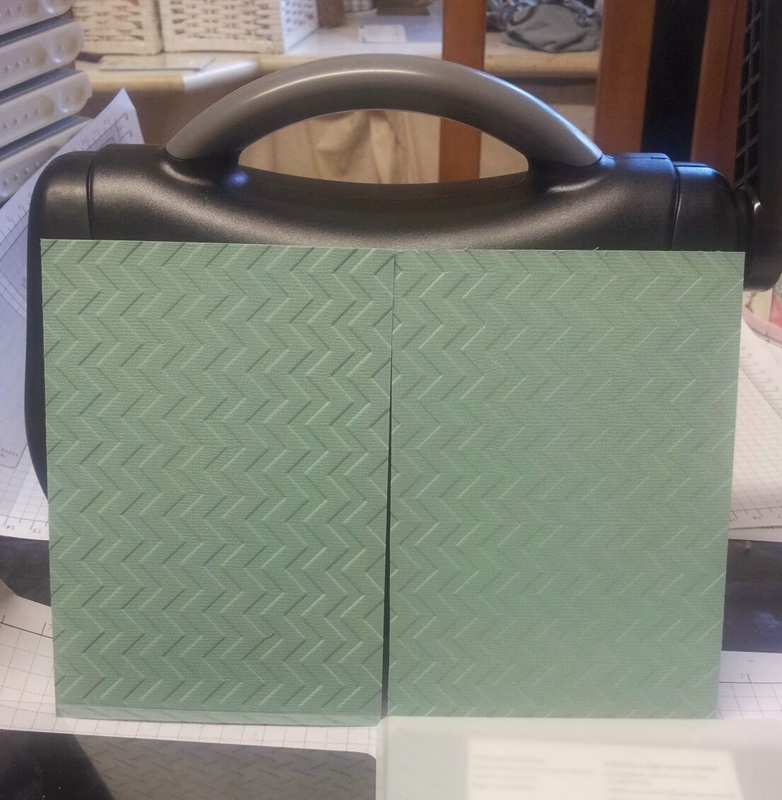 Then you would wrap the back of the card around the back of the embossing folder, thus eliminating the need for the extra thickness of the shim. 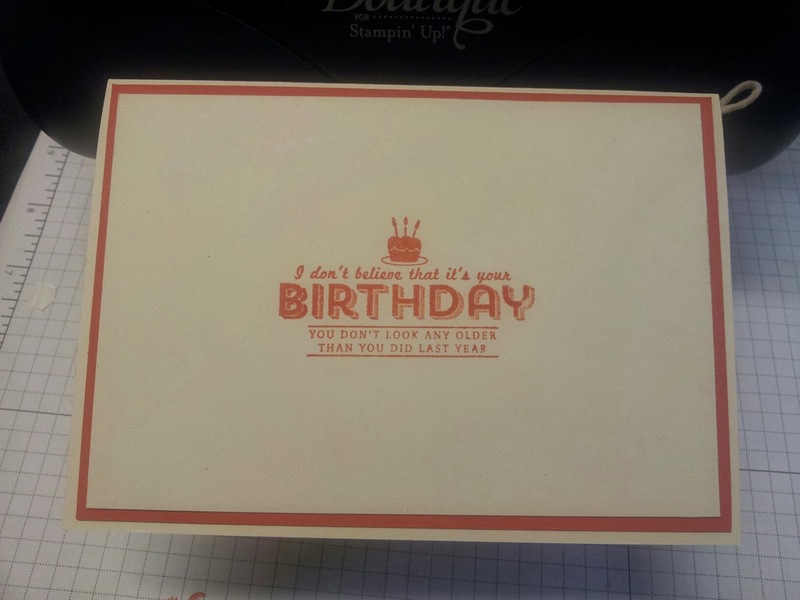 So here are the layers that you make up for a single card emboss. It just goes thru the front of the like this and wind away. Here is the result. It is somewhat softer than the Big Shot impression. Which for some projects that would be fabulous! But I like a deeper impression so I thought I would add another layer - or shim as it's called. I cut a piece of thick acetate the same size as the other shim that comes with the machine and added it to the sandwich and put it thru the machine like normal. Here you can see the difference between the two embossed pieces. The original one on the right and the extra shimmed embossed piece on the left. It was the look I wanted so very pleased! 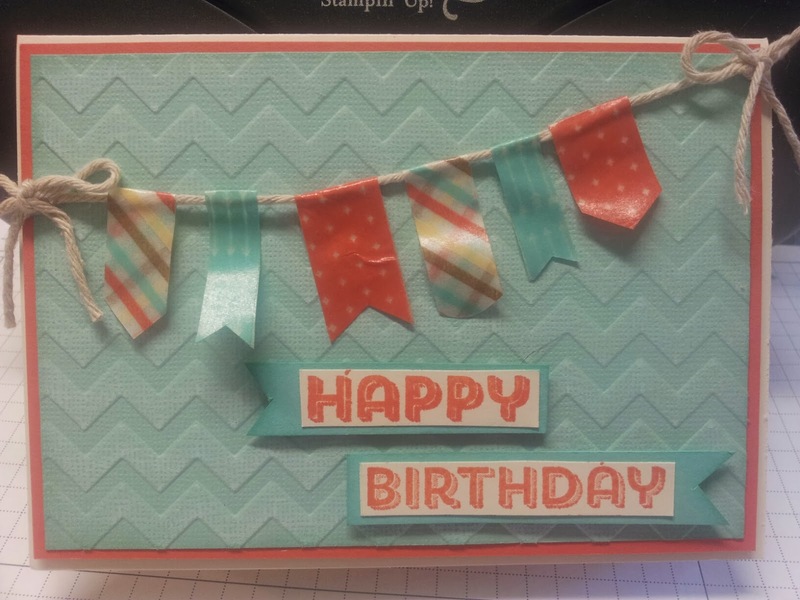 I made the card below with it. 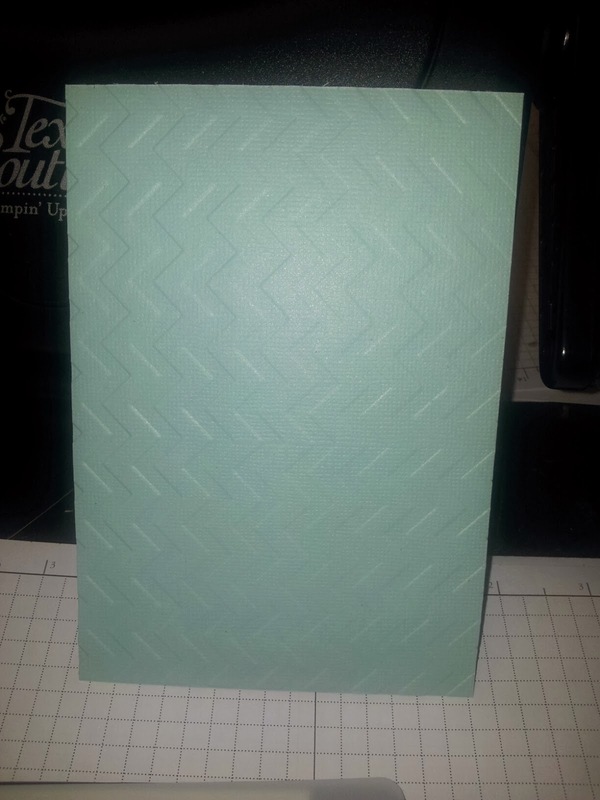 I did sand the Pool Party Co-Ordination cardstock to bring the lighter colour thru. 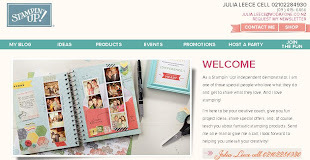 The 'banners' are made from our Retro washi tape - they make such FUN banners!! 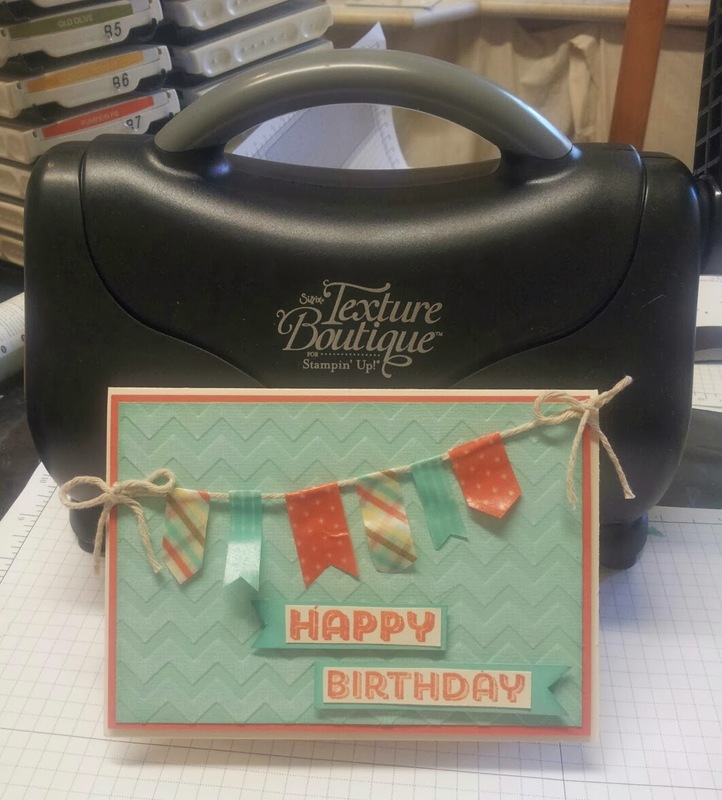 The Texture Boutique Embossing Machine is a hit with me and for only $59.95 it's a great buy. 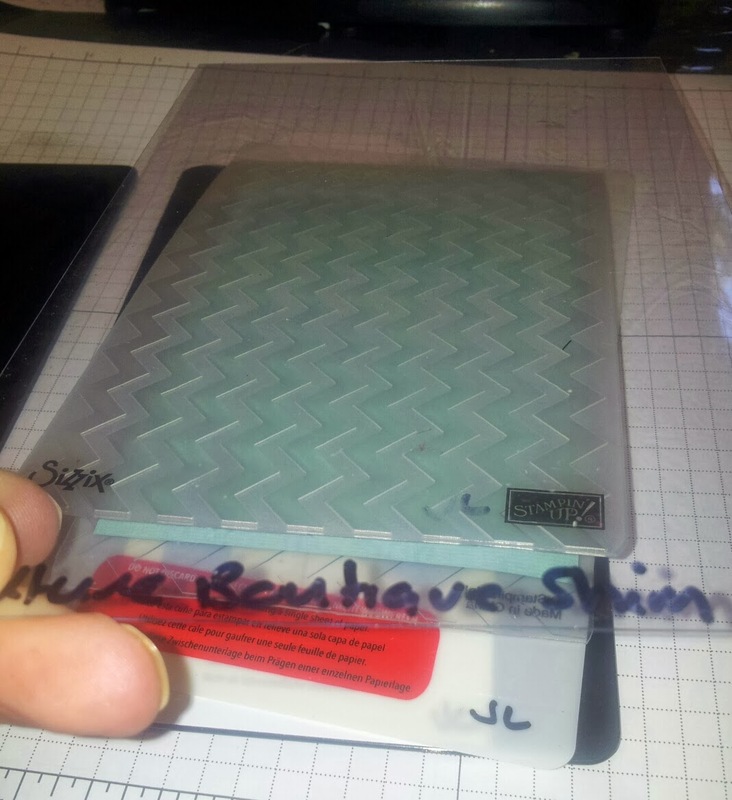 I will add a acetate shim for free with every one I sell. Contact me today!! AND don't forget that for every $110 you spend you can pick something from the Sale-a-bration catalogue - like the above stamp set.